The First International Youth Human Rights Conference will be held at the Fairmont Resort in the Blue Mountains, Sydney from 7-10 September 2017. The official conference opening ceremony will be held on the Thursday evening (7 Sep 2017) at the Westley Conference Centre right in the centre of Sydney CBD. Then afterward, all delegates will be transported to the Fairmont Resort which is just over an hour from Sydney CBD. The theme of the conference is “Vietnam: Pathway to humanity” with the ultimate purpose of “raising the Human Rights awareness and responsibility” amongst the young adults around the globe. During the 3-day conference, the delegates will have the opportunity to learn, to share the experiences in groups with the focus on creative/innovative solutions as well as to cultivate the Human Rights mindset/culture solidly built on the foundation of humanity. Claire has been National Director since 2007 and has over 30 years of experience in rights-based work and the not-for-profit sector. Previous roles include International Partnerships Director at Cancer Research UK, Head of Fundraising at the UK’s Scope and Director of Marketing and Fundraising for Greenpeace Australia/Pacific. 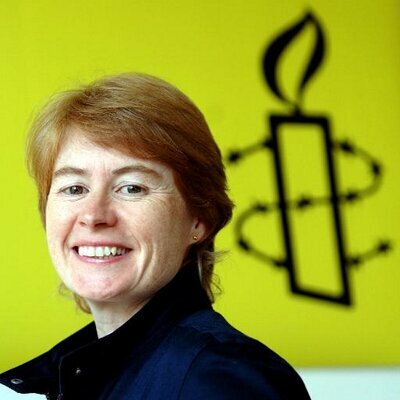 Claire is a member of Amnesty’s Global Management Team. Vo Dai Ton is a true son of Australia and, at the same time, a true son of Vietnam. He is a man who has devoted his life to the cause of freedom and democracy, to continuing freedom for his adopted country, Australia, and to the eventual freedom of the country of his birth, Vietnam, which continues to languish under communist dictatorship and oppression. Vo Dai Ton is a man of heroic virtue, and as he enters the early years of the seventh decade of his life it is fitting that the Hansard of the Parliament of New South Wales records for posterity some of the highlights of what continues to be a remarkable life, a life of achievement and a life devoted to humanity. He has received commendations from many nations. He has been honoured by an array of State Legislatures in the United States. The President of the United States personally awarded him the Distinguished Service Cross for his bravery. He is the holder of 43 medals for service and bravery. Among other positions, he served as National Director of the Psychological Warfare and Reconciliation Program—which involved rehabilitation of captured enemy soldiers—and at the time of the fall of South Vietnam he was Deputy Minister for Information and a member of the Presidential Military Cabinet. Kieu Ngoc currently lives in Adelaide, South Australia. Born to a former SAS commander before 1975, KN’s father was captured by the communists but later escaped and became refugee in Australia. KN’s family was reunited when she was seven years of age. During her years at University of Adelaide, KN was the president of the Vietnamese Student Association. After graduation, KN had actively involved in the Vietnamese Professionals Society, South Australia chapter. As a result of a special concern for the young generation to continue the relentless fight for human rights in Vietnam, May 2016, KN and a small group of friends established the International Youth Movement for Human Rights, a non-profit organisation for which KN is currently the director of. Besides the abovementioned engagements, KN is also a member of the Vietnamese Australian Lawyers Association; a legal writer for a number of newspapers: Nam Úc Tuần Báo, Adelaide Tuần Báo & Việt Luận. KN also regularly provides free community legal education for various ethnic communities & womens associations. More speakers will be added once we have their confirmation. Please come back regularly to keep up to date with our speakers addition.